Innovative vario sawframe, length 260 mm, made of 10 x 5 mm barrel galvanized flat steel. With a progressively adjustable fixture and glass balls reinforced plastic handle. High 65 mm cutting space. 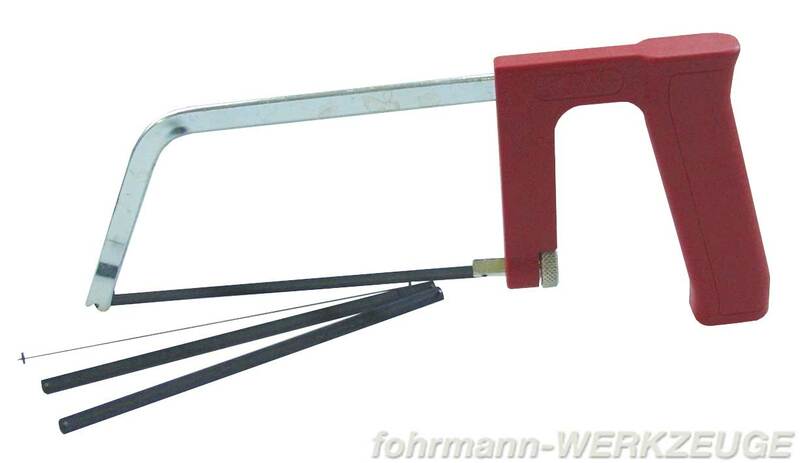 Fitted with a saw blade for thin-walled metal profils/pipes, thin sheet steel, length 150 mm. Related links to "Small fretsaw"
Customer evaluation for "Small fretsaw"